The UK communications regulator Ofcom has appointed City University London academic Dr Zahera Harb to the committee that controls standards for television and radio programmes. Dr Harb, a Senior Lecturer in the Department of Journalism, is joining the Ofcom Content Board on 1st December 2015 for a three-year term. The academic lectures on the International Journalism MA course and is a board member of the Ethical Journalism Network (EJN). She said: “I am delighted to join Ofcom’s Content Board. Media ethics, including fairness in media representation of ethnic minorities, has always been at the core of my research interests. Ofcom’s Content Board is a committee of the main Ofcom Board, with delegated and advisory responsibility for a wide range of content issues. It serves as Ofcom’s primary forum for the regulation of television, radio and video-on-demand quality and standards. The organisation announced the appointment of Dr Harb along with the former Head of News and Current Affairs at BBC Wales, Aled Eirug, who is now a member of the S4C Authority and Chair of the British Council advisory committee in Wales. 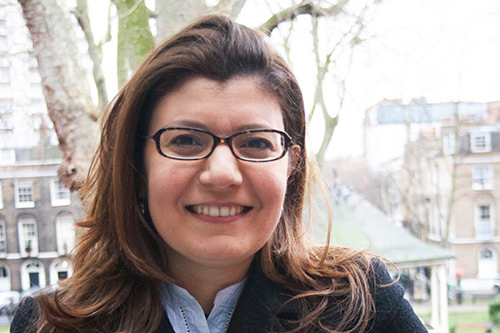 Ofcom added that Dr Harb, who is originally from Lebanon, will bring expertise in minority language broadcasting and an in-depth understanding of media and communications. Before beginning her career as an academic, Dr Harb worked as a journalist in international media organisations in Lebanon for 11 years. During this time, she held roles as a producer, television news anchor and news editor, after starting as a news reporter. The academic was named a Stanford Humanities Center International Fellow for 2014, and in the same year was commended in the City University London Vice Chancellor's Awards in recognition of excellence in international engagement.